French Polynesian people are the indigenous Polynesian people originally from a nation of collective islands known as French Polynesia. 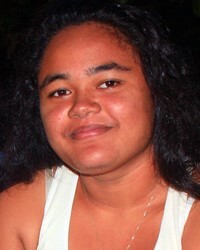 Although classified as Polynesian, they are often of partly French European or Asian heritage. Historically, French influenced the island nation. Hence, the people learned to speak French and mixed their indigenous culture with French. They predominantly, though, speak Tahitian. Culturally, they are known for how they prepare their food. They prepare an earth oven with traditional foods (fish, pork, taro, breadfruit, sweet potato) to be eaten at large family gatherings on Sunday. Traditional Polynesian food also is served at wedding feasts. The majority are Protestant Christians with another large percentage being Roman Catholics. A small percentage belong to The Church of the Latter Day Saints (Mormons). Pray that evangelical French Polynesian will be a light to others. Pray that they will grow strong in their faith, being a people on mission with God no matter where they reside.